What Video Tricks Help Improve Conversion Rates? As the internet becomes a more competitive place for most brands, finding new ways to attract attention is a must-do exercise. With more mobile devices and content than ever, people are turning to new and more diverse ways to enjoy news, information, entertainment and more. Rather than reading while on the go, many people prefer to watch videos. Brands have discovered this and are making great strides in attracting new people with video content. However, leveraging that video content into something more should always be the goal. In order to help you out with this, we’re going to discuss some simple tricks you can use to improve conversion rates for all of your videos. Any desired action you want viewers to commit should be directly relevant to the video in question. 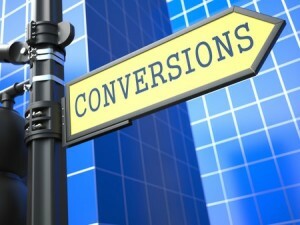 Without a strong correlation between the two, conversion rates will be minimal. For example, we’ve all seen videos on YouTube pinging users with ads that – while they may be relevant to the user – are not relevant to the content they’re currently watching. If somebody is currently interested in a a particular topic, they’re less likely to engage with links and ads for another – even if it’s something they enjoy. As such, make sure that your calls to action and the like align directly with the video itself. It turns out that there is a sweet spot in terms of the length of videos for each particular audience. Depending on your niche and its audience, shorter videos may prove to be the most ideal way to reach audiences effectively. However, metrics from video hubs like YouTube show that half of all engagements come from longer videos, meaning that there are some audiences that prefer to interact with more in-depth content. Analyzing the average watch time for your videos can shed light into exactly what type of audience you have, as can assessing the performance of each of your videos and correlating it to the length. Ultimately, those with shorter attention spans will want to encourage action early on in any video, while those with more attentive audiences have more flexibility. Last but not least and as we alluded to above, assessing the statistics of your videos can shed important light on what is working and what is not. Making observations about how many people are viewing, commenting on and engaging with your videos can provide vital information for future conversion efforts. By using this information to improve the elements of your future videos, you’ll be pinging users with content that is truly optimized to generate conversions. Other factors to carefully monitor include average watch time and aggregate engagement levels. Videos are the future – or arguably the present – of content creation. When used properly, brands can extract just as much benefit from videos as from other forms of content. By boosting conversion rates, you can further justify putting more energy and time into creating this kind of high-performance content for your audience. What Affects My Site’s Trust Rankings with Google?